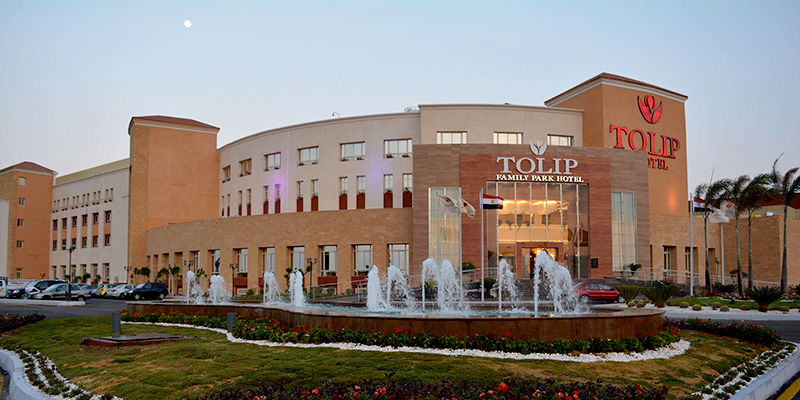 TOLIP Family Park Hotel is a brand new 5 star hotel located in El Rehab City, a prime location that rests alongside the Cairo-Suez road. 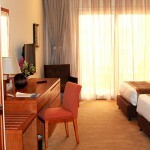 Neighbouring the renowned Cairo Family Park, the hotel is just minutes away from Cairo’s International Airport. 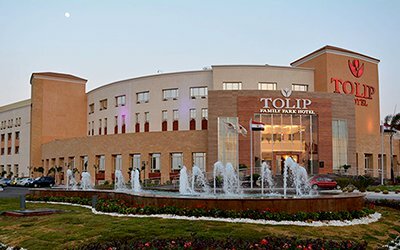 Experience unforgettable recreational facilities at the Lifestyle Health Centre and Spa, take a dip in the outdoor swimming pool or challenge your taste buds to the TOLIP’s international cuisines, while indulging in the true Egyptian hospitality. 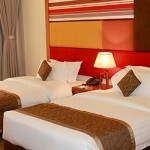 The hotel encompasses 114 fully furnished, well-equipped rooms that include: 85 Standard Twin, and 29 Executive Suites. 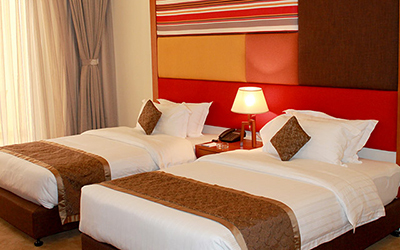 All the guest rooms feature LCD Satellite TV, AC units, mini fridge, beverage facilities, digital safe box, hairdryer, iron equipment and free Wi-Fi. 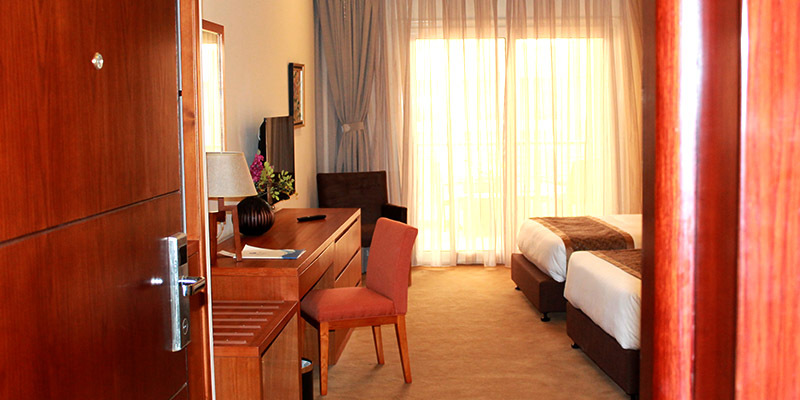 Suites range from 36 to 78 square meters and offer contemporary décor and classical Arabian touches. 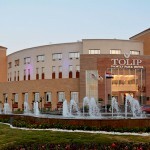 TOLIP Family Park hotel offers 2 elegantly styled ballrooms and 1 multifunctional meeting room equipped with modern digital technology, Wi-Fi and state of the art audio-visual systems. Business clients, or alike, can also request secretarial service. Let us be your destination for celebration, weddings, event planning, anniversaries, and even your graduation ceremonies. 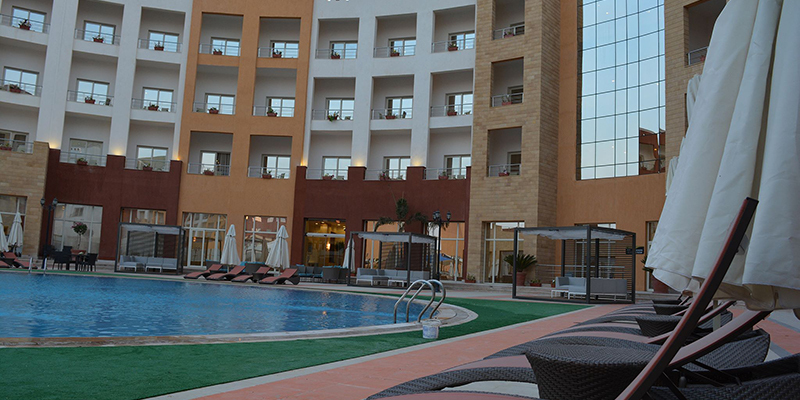 The hotel’s main restaurant serves a wide variety of international buffets, outdoor dining, terrace area, and a Shisha corner. Offering the essence of Oriental & International cuisine, the Terrace is a unique Middle Eastern style where you can enjoy the best selection of seasonal pickings. Hours of Operation: Open daily by 10:00 am until sunset. 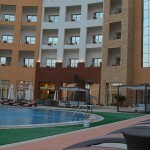 Outdoor bar with a marvellous pool view, offers a light menu with refreshing, chilled drinks, delicious snacks and salads.